With more than 22 years at AMR, Robert’s leadership has shone during some of the most challenging events in his community’s recent history. During the Waldo Canon Fire in 2012, Robert was one of the first units on the scene at the Mount St. Francis Nursing Facility. As the Field Supervisor, he determined the facility needed to be evacuated and quickly implemented a plan. His quick thinking and actions contributed to a successful evacuation and ultimately saved many lives. On November 27, 2015, Robert coordinated with both fire and police personnel during the Planned Parenthood shooting, an incident that lasted more than six hours. His leadership ensured the treatment and transport of 12 victims. 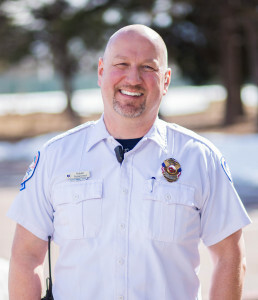 Robert is now using his knowledge and experience from these difficult events to begin implementation of tactical EMS deployment in Colorado Springs and throughout the region.